Intek Institute of Applied Technology started its first academic year in HCM City on November 5. 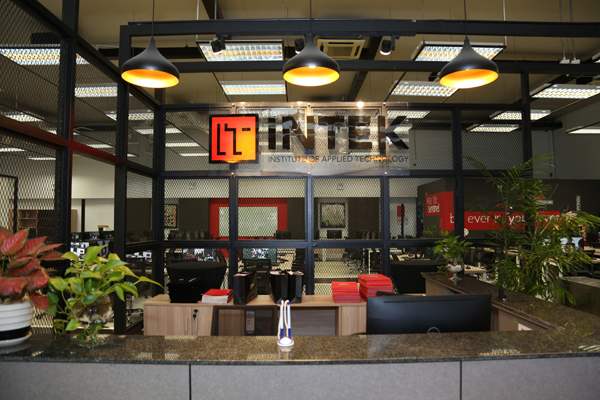 Unlike other institutes and universities in Việt Nam, Intek does not have teachers and uses a curriculum comprising project-based learning, gamification schemes and a fully student-centered approach, all of it in English. Students learn by doing hands-on and industry-level projects, the way engineers do, by using resources freely available on the internet and by seeking help from their fellow students, who work alongside them in a large open-plan room filled with computers. They lead frequent peer reviews and also get expert feedback from mentors during project presentations. It is the first school in Việt Nam and fourth in the world to adopt this training method. This learning model has been endorsed by many high-profile people in Silicon Valley including Evan Spiegel the co-founder and CEO of Snapchat, Keyvon Beykpour the co-founder and CEO of Periscope, Stewart Butterfield the co-founder and CEO of Slack, Brian Chesky the co-founder and CEO of Airbnb, Jack Dorsey the co-Founder and CEO of Twitter. Phan Chinh, CEO of Intek Institute of Applied Technology. According to Phan Chinh, CEO of Intek, this method of learning mitigates the shortcomings in the traditional education system and enables students to meet future employment requirements. Chinh, who has more than 20 years’ experience in IT, speaks more about this new education model and how students should consider shaping their future. 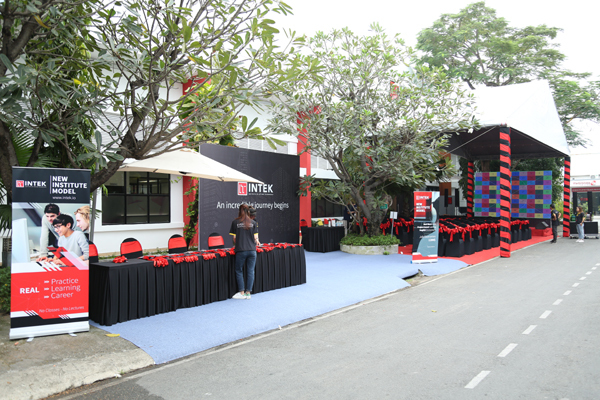 Congratulations on the opening of Intek Institute. Can you tell us briefly about the institute? How it is different from other IT institutes and universities in Việt Nam? Intek is a computer engineering institute born out of the desire to offer young IT talent a platform that allows them to blossom on the global stage. Intek has a unique approach to learning that is very different from that of traditional universities. Our role is not to provide students with content knowledge (that is why we do not have classes or lectures), but to guide them on the path to self-sufficiency. We want students to learn how to learn since they will need that skill to face the many new technologies that surface in the tech industry every minute. Standard tech education in Việt Nam often fails to meet industry demands. We aim to solve the challenge by starting with our end in mind: we are developing engineers, which means we should treat students like engineers from the outset. We put them in an academic environment that is close to the workplace, with colleagues, deadlines and open-ended problems to solve. Add to that a layer of mentoring, community support and fun, and you have a complete ecosystem that accompanies students on their path to self-sufficiency. What exactly is Intek’s innovative learning model? The Intek innovative learning model is a disruptive, individualised, intensive learning experience striving for excellence with just the right time to reach the market: 2.5 years. Intek proudly claims that such an intensive learning path and experience ensures students achieve full business operational readiness and high employability and reach the high-end salary range, all within a relatively short period of time. 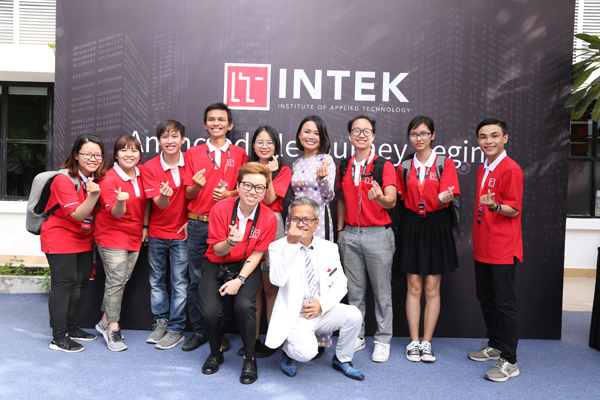 Intek Institute of Applied Technology began its ever first course on November 5 at 248A Nơ Trang Long Street, Bình Thạnh District, HCM City. Our model is driven by the realisation that problem solving, creativity and self-development cannot be achieved using traditional, passive approaches. The learner must go from being a passive receptor of information to being the architect of their own learning path. We encourage students on that path by giving them core projects to complete (corresponding to the median skill level students need to develop to be certified), and once they succeed they can explore freely more advanced challenges. It's all about stimulating their thirst for knowledge. Technology is changing so quickly in so-called industry 4.0 that soft skills, being able to work in a team, to think out of the box, to nourish your mind, and to foster your knowledge to achieve your career goals are essential. What are the strengths and weaknesses of Vietnamese IT students? What are the most important skills companies are looking for in ICT engineers? I must acknowledge that Vietnamese education until the end of high school is very good. Students are studious but poor in soft skills and the capability to connect, exchange and work together. What kind of ICT engineers are companies looking for? Are they people who can simply solve today’s issues like they have been taught? No! IT companies are seeking engineers who can fit seamlessly into their production teams and help propel their businesses to the next level, and are equipped with both technical and soft skills such as leadership, global communication, creative thinking, and English proficiency. Our corporate partners have already placed their faith and trust in Intek’s ability to equip their future engineers with such versatility. To this end and just to name a few, large corporations like LinkByNet, Bosch, Siemens, VietJet, FPT Software, KMS Technology, Ipsip Group, Dirox as well as SMEs such Amaris, Osam or Topica are eager to work and establish a close and fruitful partnership with Intek. University usually lasts four to five years. 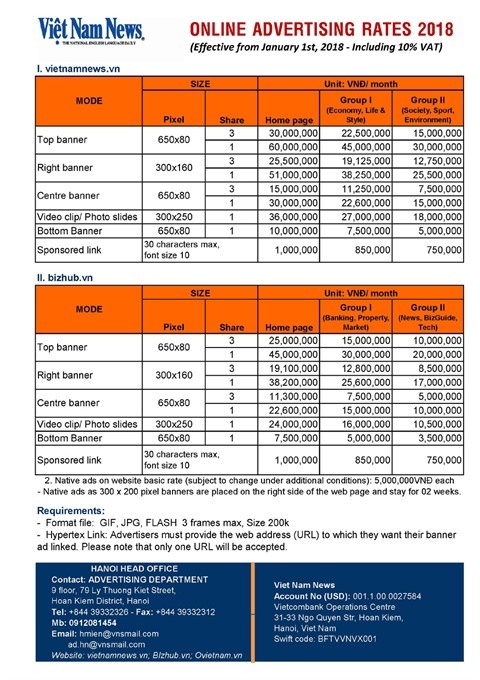 Is 2.5 years enough to study everything the industry needs? Does Intek grant a diploma? We have stripped the usual curriculum of all unnecessary topics and theory you will never use. Those 2.5 years are focused on acquiring skills directly relevant to the workplace. Graduate students can embark on real work and there is no need for enterprises to retrain them for six months to one year. Intek does not grant a diploma. However, we do issue our own certificate, which guarantees to companies that students meet the Intek standard at graduation. The 600sq.m Intek Institute of Applied Technology is designed as a modern and inviting open space to maximise community learning and student-staff interaction. How many students are there in Intek’s first academic year? How many students are you admitting each year? How about the tuition fees? We received more than 1,200 applications for the first school year, but at a two-week boot camp called Hyperspace we observed the candidates and identified which ones will best fit our learning environment. In the final selection only 34 were chosen to become Intek students. Our facility here on Nơ Trang Long Street can accommodate 120 students. We are building another facility on Điện Biên Phủ Street also in Bình Thạnh District, a large building which can accommodate up to 400 students. We will move to the new school in the next two years. Intek is not for everybody; learning with us requires more independence, commitment and self-awareness than at traditional universities. So the number of students selected will vary based on the candidates we get; we do not have a set number of seats to fill. 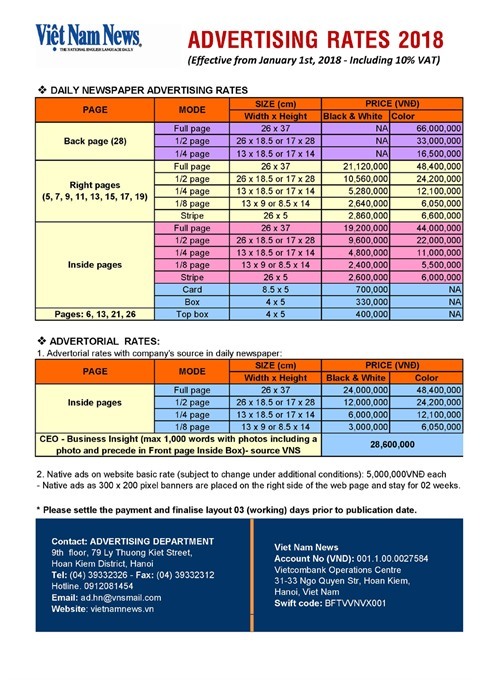 The tuition fee is US$7,000 a year, with all students in the first Flagship Year being granted with full scholarship. In the second year, 30 percent of students will get full scholarships. However, we would like to be even more creative and go beyond the traditional scholarship. We are therefore working with corporate partners and partner banks to find innovative financial schemes that would allow all students regardless of their financial situation to follow our curriculum: “Learn now, pay later”. Because such a learning model has demonstrated excellent results and been recognised abroad, I believe our school is also addressing students within the Asia Pacific region including Australia, Singapore or Hong Kong. They would benefit from such a curriculum with very competitive tuition fees compared to their home country and would enjoy the resourceful, vibrant but still very affordable cost of living in Ho Chi Minh City. Will Intek ensure jobs for its graduates? Yes, Intek’s fresh graduates can immediately get job offers with a minimum salary of $1,200 a month (grade B+). There are only four schools in the world offering this adaptive training method, including one in Paris and one in the US. It is definitely a successful model. As I mentioned earlier, just look at the endorsement made by famous Silicon Valley CEOs.